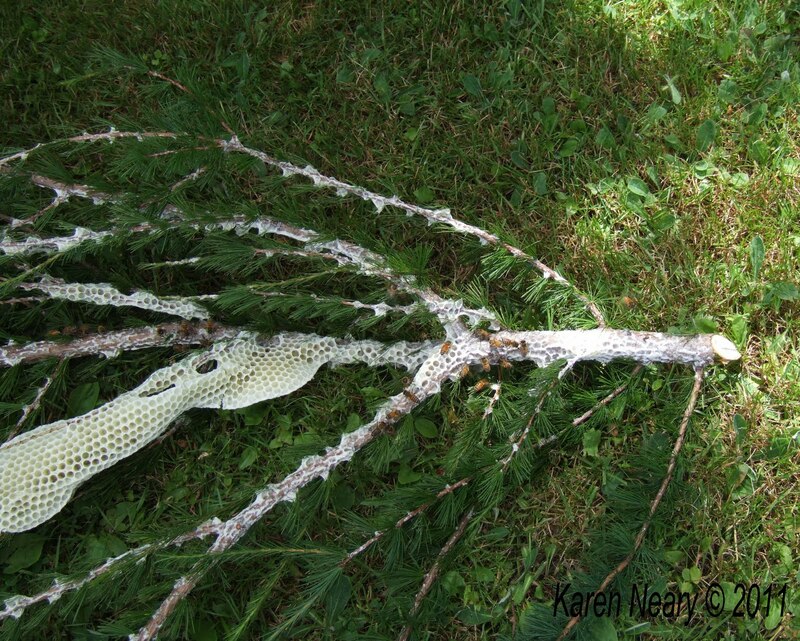 Interest in the October, 2011 Nova Scotia Fibre Arts Festival is brisk and the workshops are beginning to fill. Earlier this week, Mary Farrow Sinclair dropped by with the piece she will be teaching in her Beginner Hardanger class. It's lovely. With the colouring and stitch designs she has chosen it is aptly named "Maritime". Can you see the tiny crystal sailboat riding high on the waves? The hand stitched squares which form a heart at the bottom are embellished with little pearl beads. Hardanger is a form of embroidery worked on an even weave cloth using counted thread and drawn thread work techniques. Here's another one Mary made in blue and rose. These exquisite hardanger butterflies are a work in progress; she intends to cut them out and hang each individually. They will be finished in lots of time to display during the Festival. I have been sewing leftover strips of reds and blues into string blocks when I have a minute here and there. Two more to go and I will have enough for a lap sized quilt in a Barn Raising setting. Polly had her own opinion of the layout. You can see she is keen to arrange those blocks. Oh, here's the problem: there was a mouse on the quilt. ...and removed the varmint from the premises. What would we do without Polly? In the process, I'd say she has also "dispelled" the popular notion of String Theory. Next perhaps she'll tackle the Golden Braid of Gödel, Escher, Bach. A quick reminder that the "Free Shipping" offer on all pattern orders placed from Canada and the U.S. ends at midnight, July 31. Don't miss out! A swarm this huge looks menacing doesn't it? 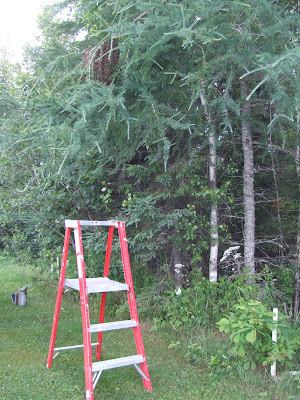 As per the routine, hubby set up a ladder with a box of honey frames on top hoping to entice the bees inside. 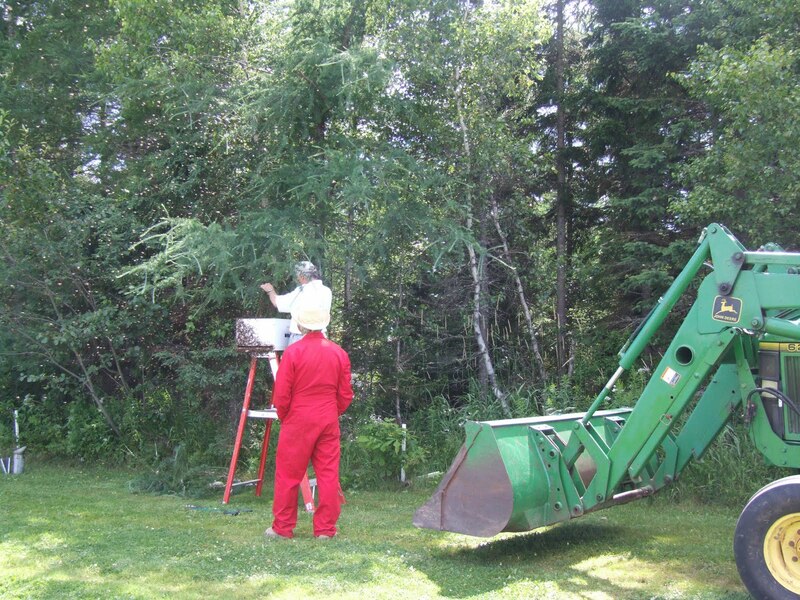 He reaches the branch where they are clustered and gently shakes it into the box. 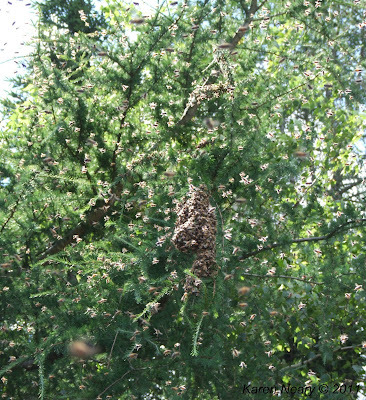 We were amazed to see the branch the bees were on. It was extensively drawn out in wax comb which indicates a) they've been there for a bit to get this much done and b) they must have been intending to stay (?). 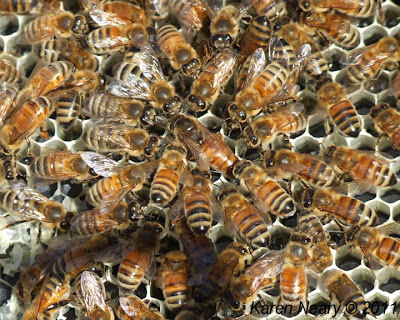 The comb is where the queen lays her eggs and also where honey will be stored. Seems an odd choice for a home. Every inch of this branch was covered in wax. 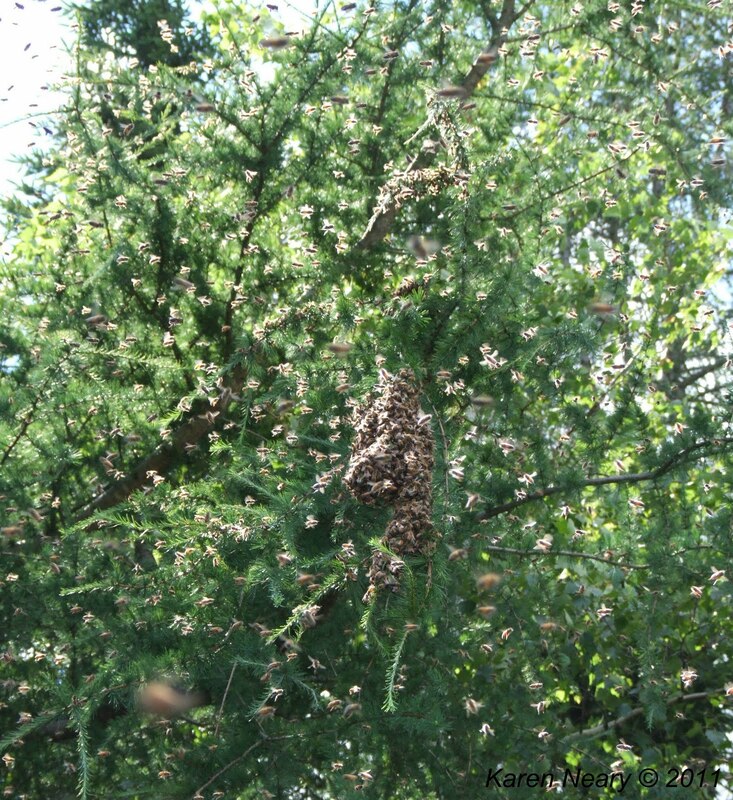 While we were ogling the branch, the bees began to recluster on a higher limb of the hackmatack tree. Ohh oh...that means the queen is not inside the box of frames, and the bees are leaving to rejoin her. Unfortunately, the branch is too high to reach from the ladder. A brave hubby climbs into the bucket of the John Deere and gets hoisted up to reach the branch. 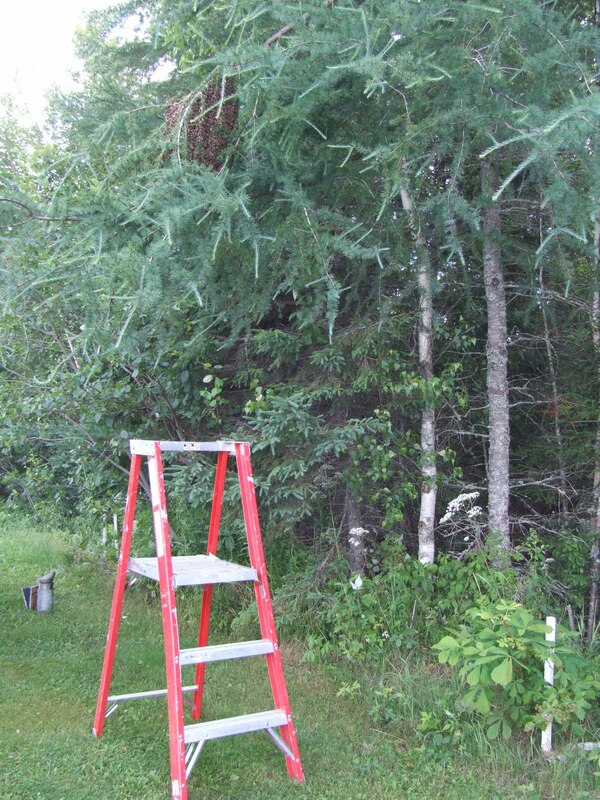 Unfortunately I was unable to photograph this daring escapade as I was on the ladder having the branch of bees handed down to me. If you look closely at this picture you will see the air is filled with bees. It was a very large swarm. This time we got the queen, so the bees settled happily in their new digs to begin their colony. I expect they are happy to be in a hive and not out on a limb. Meanwhile, back at the ranch...ANOTHER swarm of bees had formed only a few feet from where this first performance was taking place. Unbelievable...We turned around and there they were. 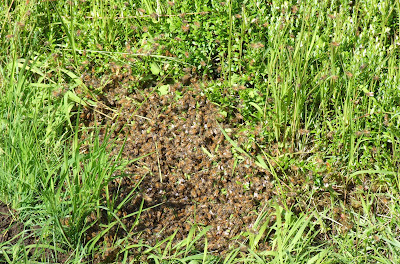 These bees settled on the ground, which is sometimes a difficult capture to manage. 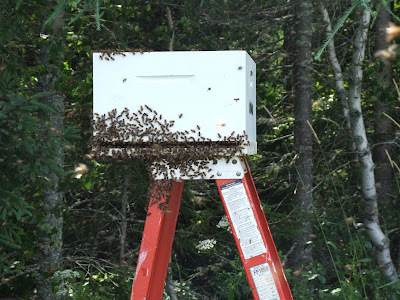 Clever hubby set the box on bricks directly over the swarm and eventually the bees just marched right in. Easy. The best part of the day was getting this incredible picture of the queen circled by her attendants. I am very pleased with this shot. It almost made this very long day away from quilting worthwhile. International Quilt Festival/Long Beach runs July 29-31, 2011 at the Long Beach Convention & Entertainment Center, Long Beach, California. If you happen to be in the area, my quilt With Glowing Hearts is part of the traveling "O Canada" exhibit. I guess we knew from the start that this quilt was destined to move around, as it certainly did the day we took it to be photographed. Here are some outtakes from that photo session, on a very windy day at Fort Beausejour in New Brunswick. 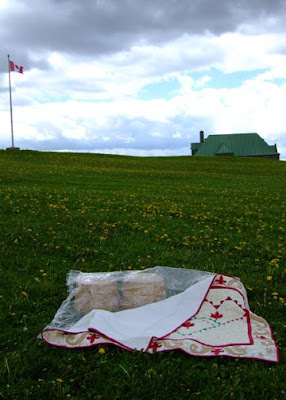 (Actually, I think every day is a windy day at Fort Beausejour...) My very patient husband chased the quilt all over the historic grounds while I tried to snap a picture before the quilt got airborne. Here he is very neatly propping it up on three baskets to give a better angle for viewing. By the time he steps out of the photo and I snap the shutter, the quilt has blown off the plastic ground sheet. At one point, the quilt actually did float through the air, almost like a magic carpet! We lugged the quilt to various locations around the grounds, even onto this stone foundation deep inside the shelter of the walls. I stood on top of one of the case mates to shoot...but still the quilt flapped and billowed. We tried securing it with clear packing tape but it wasn't strong enough to hold against the wind. In the end, this fence proved the best spot. If you happen to be heading to the Long Beach Show this weekend, perhaps you will have a look for this peripatetic quilt. Several folks have emailed that they are going and will send photos and I welcome any you take as well. 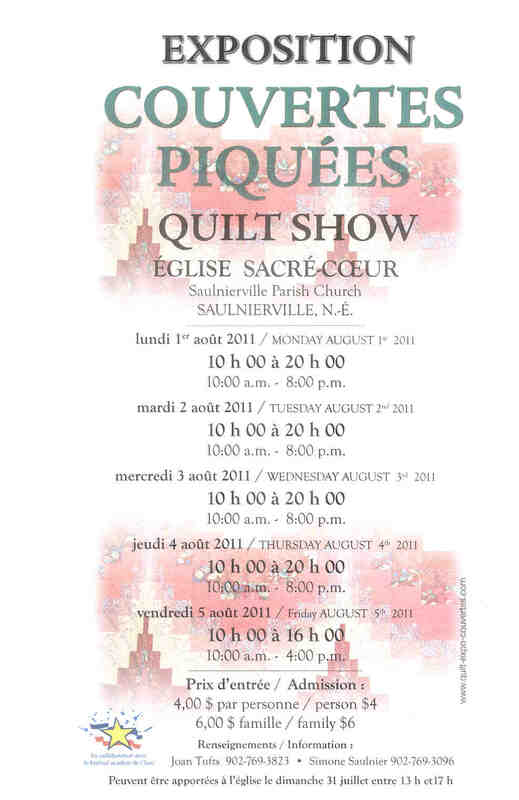 Even "quilt show" sounds impressive in French, and this show certainly is impressive. 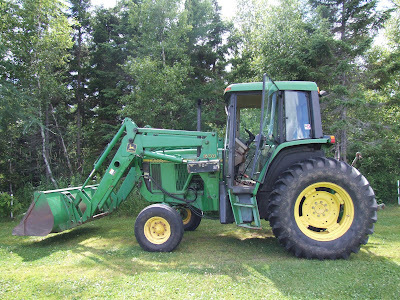 Since 2004, the community of Saulnierville in Clare, N.S. 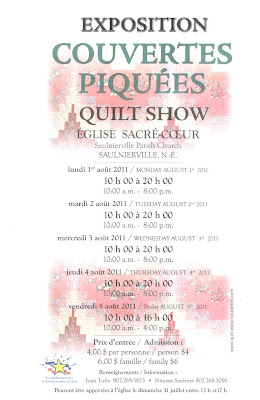 has staged this spectacular show of hand made quilts in their beautiful sanctuary. Check out the website for some gorgeous pictures of past shows. 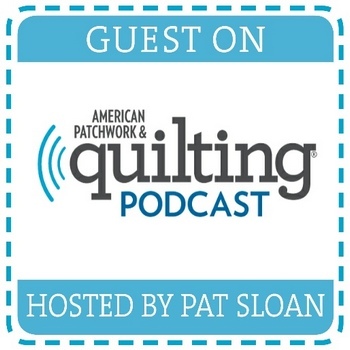 With the formation of a new quilt guild in the area this year -La Guilde Acadienne de Clare - interest and dedication to the craft continue to grow. Click the poster above for details on the show which runs August 1-August 5, 2011. You will not want to miss this one! My focus this week has been on free-motion: getting the directions proofed and printed for the workshop wholecloth sampler, testing out the material, and just generally getting the paperwork organized. I also took time to begin another small wholecloth quilt using a Robert Callahan design which I enlarged a bit to fit my cloth. The fabric is one of the new ones in at dayle's; in person it looks like Italian marble which I thought would be perfect for this rather formal still life of vase and feathers. Not sure yet how the background will be quilted but will play with that some more over the next few days. Yesterday I emailed material for the class to all who have registered so far; if you have not received yours kindly contact me. 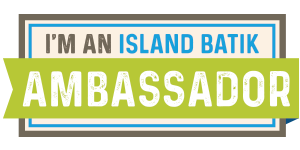 There are still a couple of spots open in both the Fri, Oct.14 and Sat. Oct. 15 class. To celebrate the end of my computer woes, I am pleased to offer FREE SHIPPING on all pattern orders to Canada and U.S. addresses for the remainder of July, 2011. 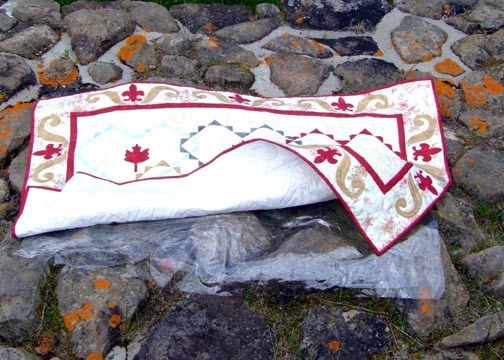 (This does not apply to the book Canadian Heritage Quilting). 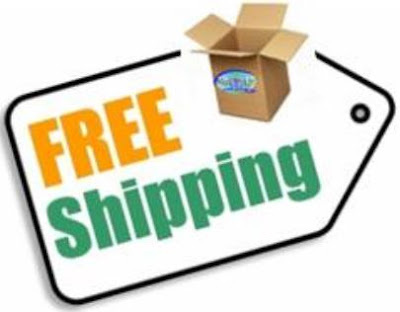 There is no need to use a special code at the checkout; simply click to place your order using your credit card and I will manually adjust on this end once your order comes through. It's been a long few months of computer woes; multiple crashes means I have reloaded (and lost) more programs and files AND TIME than I care to think about. After replacing the DVD burner, the graphics card, the hard drive and the motherboard to no avail, the computer gods decided it would be best if we started over with a brand new machine. So...if you have emailed me and not had a response, chances are your note got lost in the shuffle. I answer all of my email. Please write again. If you think you should be in my (currently blank) address book, kindly take a moment to send an email. For those wondering why my newsletter stopped, now you know. I've been trying really hard not to whine about all this but patience is not one of my virtues. It's been a test. 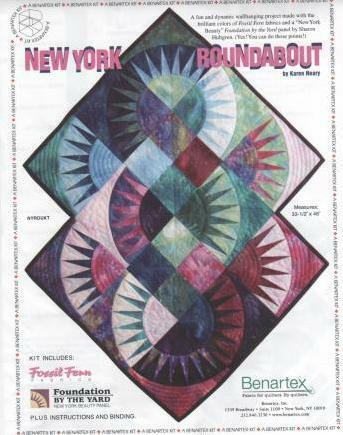 For those asking for a source... kits for the New York Roundabout quilt are in stock again at Avonport Discount Fabrics, and for a terrific price. Here's a version made by Carmen in Minnesota; her addition of a little yellow for some of the background in the arcs adds a bit of warmth. Nice job! Now that the dust has settled from graduation and the surprise quilt has been gifted, I can show the Log Cabin quilt made for youngest son. When eldest headed off to university, he went with a Log Cabin quilt pieced in his school's colours of red and blue. 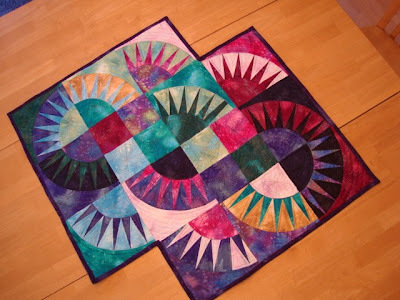 His quilt was 6 blocks across x 8 down, in a barn raising setting. I tried to stick to that formula as closely as possible (fair and equal) and have only changed the colours and block arrangement. The X setting has significance to youngest's chosen school. This all needed to be done on the QT so hubby helped me baste quickly early one morning. As luck would have it, we discovered this beautiful fence not far from town which I knew would be the perfect spot to photograph the quilt. Thanks to the Rolfes for allowing me use of their fence. I wish I had know it was there when I was doing the photography for the book two years ago. The fabrics were a combination of scraps leftover from other projects as well as some purchased specifically for this quilt. It's almost an "eye spy" of his childhood as I've used hockey prints, cats, scraps from his pirate quilt made when he was 2, and some bee prints (the green strip near the centre). When long arm quilter Jacquieline Pohl of The Vintage Quiltery came to visit a couple of weeks' ago I asked her advice on the quilting. I had intended to do a large feather in the blue. Jacquie advised moving the feather to the white section and stippling around it, as well as stitching the blue logs in the ditch. So I did, and am very happy with the results. I've also quilted his name and date in one of the logs. It was a big one. 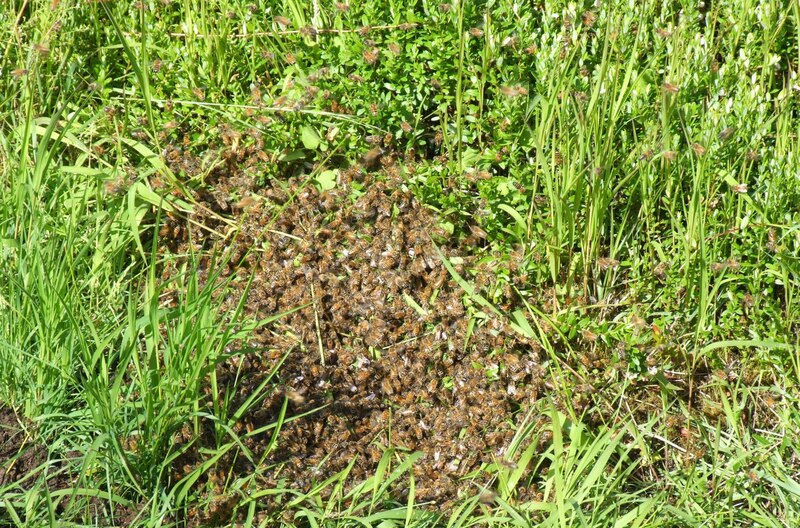 There were a LOT of bees clustered here. Luckily the branch was within easy reach, which makes the capture process much simpler. 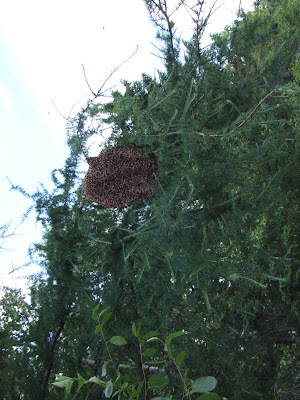 We set up a "nuc" under the swarm and hubby cut off the branch. 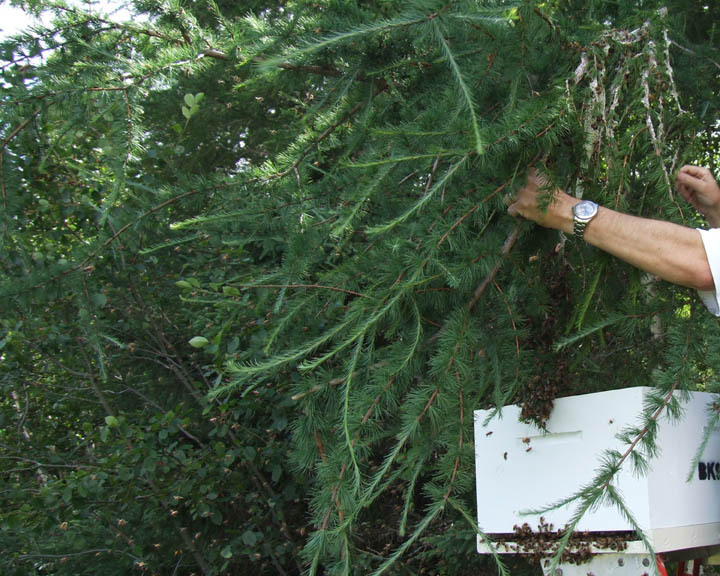 He gently shook the bees over the nuc box which contained a frame of honey as enticement. 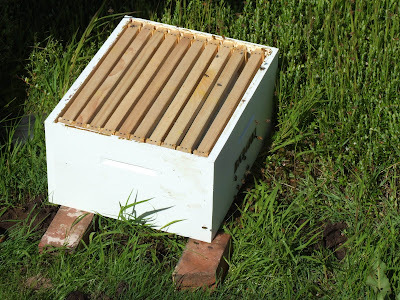 There was a fair bit of spillage so he tipped the nuc on it's side and the bees began marching into the box on their own. This was a good indicator that the queen was already inside. Yup...there she is; just to the left of the pointer. Can you see her? 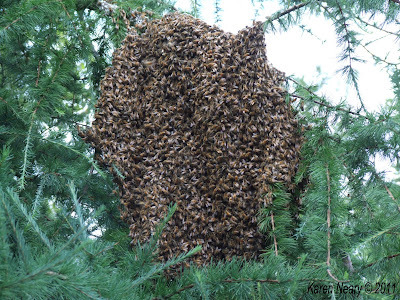 It bears repeating that there were a LOT of bees. I shot two short videos of the bees. My apologies for the size of all these pictures but I am still without my computer and no photo program to reduce file sizes. 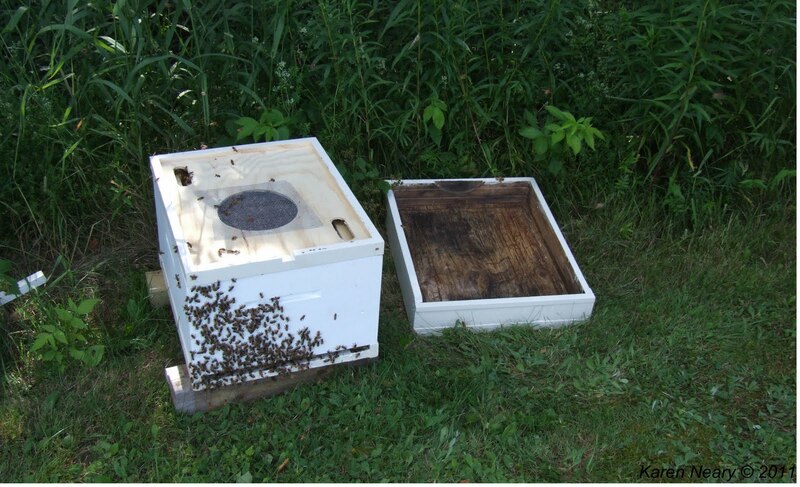 The clip below shows the nuc box on it's side with the bees marching in. They don't waste any time. This clip is sadly primarily out of focus, but look past all that to spot a little bee wiggling his abdomen. This is called a "waggle dance" and is normal bee behavior after a swarm. He is signalling to other bees to come join them in their new home. They've decided to stay. 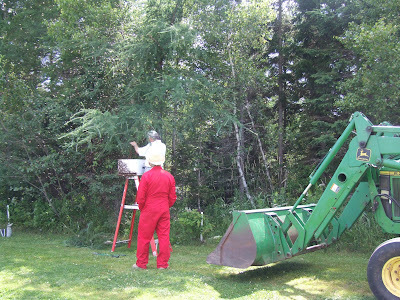 We were out last evening to move the bees into a full-sized hive as there were waaaaay too many bees to fit in that nuc. They were happily building brood chambers on the foundations for their queen to begin laying eggs to grow the new colony. A happy day for all. Grace K from Ontario has been working away at my New York Roundabout design and is very pleased with the results of her labours. She even tackled the machine quilting herself and did a great job. 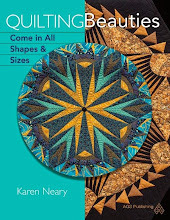 New York Roundabout is a quilt I designed for Benartex Fabrics, and is available as a kit using pre-printed fabric foundations and Fossil Fern fabrics. It has turned into a best-seller with folks all over the world trying this very easy introduction to New York Beauty blocks. I've had emails from as far away as Japan about the quilt! 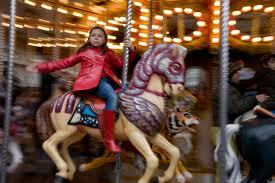 Grace is planning to do another version of New York Roundabout in bright colours. We can't wait to see it, Grace!